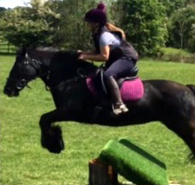 Solution Saddles Customer Stories: Lady Beauts wins her class at Derby College Hunter Trial in her SMART™Native Jump saddle. 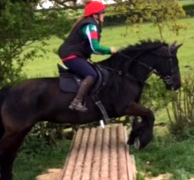 Lady Beauts wins her class at Derby College Hunter Trial in her SMART™Native Jump saddle. 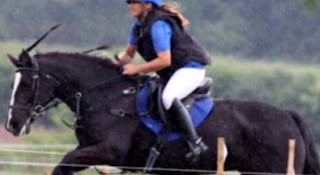 “Before trying the SMART™ Native Jump saddle, I was sceptical about changing to a treeless saddle, as all those I'd sat in moved and were not suitable for jumping. However, I had a trial in the SMART™ Native Jump saddle and couldn't believe how comfortable it was; it rode and looked like a traditional treed saddle but was rigid free. All saddles I had tried previously struggled to fit the wide shouldered / flat backed native but this fits like a dream and doesn't move at all. Beauty is much freer in her shoulders and has not had a single back issue in the five years I've owned the SMART™ Native Jump saddle.